Architect Rem Koolhaas, political theorist Luuk van Middelaar and De Balie’s director Yoeri Albrecht will conduct a nonstop, 12-hour interview marathon with a list of exciting guests. 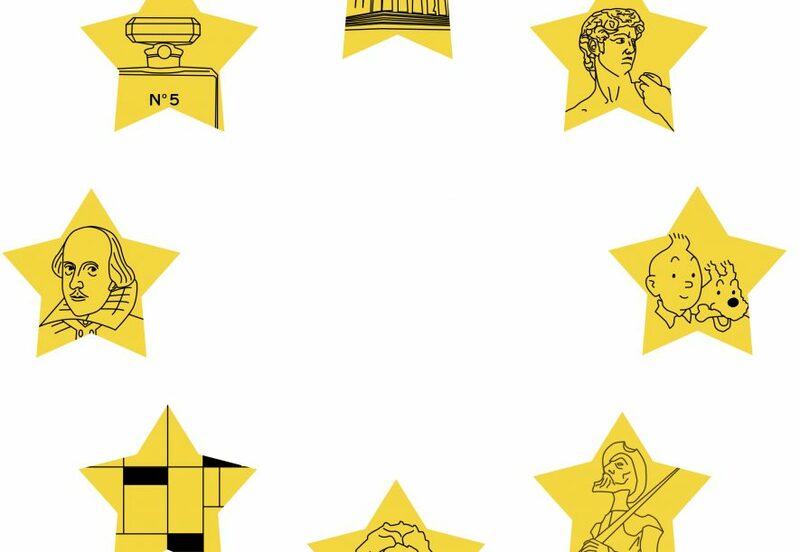 Within a single night, over the course of 12 hours and armed with 100 questions, Koolhaas & van Middelaar will search for an answer to the complex question: What is Europe? What is Europe? This question can be answered in countless variations on the theme. Rem Koolhaas, Luuk van Middelaar, and Yoeri Albrecht, will go in search of the answer within the brackets of 12 hours, hoping to find it in nonstop conversations with impressive guests from the worlds of art, philosophy and politics. What does Europe mean to them? Is there such a thing as European culture and identity to begin with, and if so, what should define it? Rem Koolhaas is a globally acclaimed Dutch architect, known for his innovative and daring designs. He chairs the influential architectural bureau OMA in Rotterdam, New York, Beijing, Hong Kong and Doha. Luuk van Middelaar is a political theorist, historian and the author of the awarded book A Passage to Europe. Yoeri Albrecht is director of De Balie, a well-known platform and center for contemporary art, politics, cinema and media. Koolhaas previously held an interview marathon in 2006, at the established London Serpentine Gallery. Ten years on, Rem Koolhaas takes on the challenge once again. Inne Olders (consultant, Belgium) , Ingo Niermann (author, Germany), Joeri Jansen (creative director, The Netherlands), Pieter Kool (designer, The Netherlands), Gerben Hellinga (actor and writer, The Netherlands), Kishore Mahbubani (professor, Singapore), Rudi Fuchs (art historian, The Netherlands), Ivana Abramovic (scientist), Wolfgang Tillmans (photographer, Germany), Flavia Kleiner (activist, Switzerland), Beatrix Ruf (curator, Germany), Engin Önder (journalist, Turkey), Tom Lanoye (author, Belgium), Vasyl Cherepanyn (director, Ukraine), Johan Simons (theatre director, The Netherlands), Abram de Swaan (professor, The Netherlands), Vincent Stuer (speechwriter and author, Belgium), Philipp Blom (historian, Germany), Phillip Blond (political thinker, UK), Luc Tuymans (painter, Belgium), Jan Raes (director, The Netherlands), Chantal Mouffe (political theorist, Belgium), Costas Lapavitsas (professor, Greece), Ann Demeester (museum director, Belgium), Larry Siedentop (political philosopher, UK), Stella Ghervas (author and historian, Switzerland), Niklas Maak (arts director and architecture theoretician), Astrid du Lau d’Allemans (psychoanalyst), Yevhen Levchenko (football-player, Ukraine), Diederick Koopal (director, the Netherlands), Bettine Vriesekoop (table tennis player and journalist, The Netherlands), Peter Ho (professor, The Netherlands, via Skype), Aslı Çiçek (architect, Turkey), Abdelkader Benali (author, Morocco), Duncan Stutterheim (entrepeneur, The Netherlands), Quirijn Bolle (entrepeneur, The Netherlands), Diederik Samsom (politican, The Netherlands), Heiko Goelzer (researcher, The Netherlands), Ryan Heath (correspondent, Australia), and Lukasz Kolinski (special advisor on energy union and climate issues, Poland). This programme will be in English. Drinks and small snacks will be available at the bar, for the duration of the entire marathon. The interview marathon is sold out. Good news for those who couldn’t get hold of tickets: the entire marathon will be livestreamed online! This programme has been made in association with the Stedelijk Museum.